What "thing" blocks us from reaching greatness with our songwriting? We have the ability inside us to become great songwriters. Genius level even. As more and more research is conducted, it becomes more obvious that we all havegenius level abilities within us. And in this book, Win mentions example after example of people who have gone on to discover the “knack” that takes them to genius level in their field of expertise. Right now, I want to talk to you about this “knack” that causes some people to go on to be geniuses in songwriting. The exciting this is, once you become aware of this “knack” you will see an amazing explosion in your song writing abilities, almost instantly! Where does human genius come from? Throughout the many years of research that I conducted into the field of creativity and human genius, as well as thousands of hours experimenting with techniques and ideas, I finally found an answer. Genius level ideas and perceptions comes from the unconscious mind. …. It’s just that for 99.99% of people these ideas remain unconscious, never to be seen by the person. So why are these genius level ideas being blocked, and what is blocking them? Well, this brings me to the main idea in this article. There’s another idea in The Enstein Factor that looks at the reason why most people never even notice their most brilliant ideas. Win Wenger calls it the “squelcher”. The squelcher is like a shield that has developed through child hood that “blocks” the majority of the ideas, hunches, and perceptions that flow in every moment of every day from the unconscious mind. There are a few reasons why this shield developed. For example, the education system used today in most schools basically trains students to BLOCK most of what goes on in their mind. The students are forced to pay close attention to what’s happening on the blackboard, and this trains them out of noticing the creative impulses that are constantly hitting them. After years of this, the mind becomes a dark place… you notice less and less of what goes on in it. You only notice the odd image flicker by. Most of your thinking is done in words (the most uncreative and inefficient way to think). This “squelcher” that has been developed through years of “blocking” these unconsciously generated streams of ideas, hunches, and perceptions can be TAKEN DOWN. Not only that, but if you remove this “squelcher” while you are writing music or lyrics, you will open yourself up to profound creativity… in fact, you will unleash the genius level abilities that we discussed earlier in this article. The “knack” that Win Wenger was talking about in the earlier quote is about discovering a way to remove your inner squelcher, and tap into the musical ideas that flow from your unconscious. So how do you use this in your songwriting? 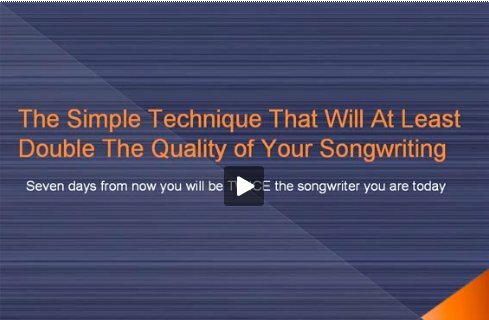 Well, you can go through The Songwriting Genius Within You course, which contains techniques and exercises specifically designed to “bring down” the squelcher, which allows you to tap into your deeper, creative resources that reside within the unconscious mind. Hundreds of musicians have already gone through this course and reportedastounding changes in their songwriting abilities, within weeks of beginning the exercises. You Can Read Their Stories And Learn More About The Breakthrough Songwriting Course By Clicking Here. The answer to uncovering these amazing abilities within yourself lies in an ancient form of teaching called “Socratic Method”. This method acknowledges that genius comes “from within”, and uses special techniques to “draw” this ability out of the student. This method was used in late classical Greece, on few more than 10,000 students… and more geniuses (in many fields) were produced than the number that emerge from the 5 billion people today (using current teaching methods). This is why the musicians who go through The Songwriting Genius Within You see such miracle transformations in their abilities. If you’d like to see similar improvements in your own songwriting, you can use this same method by checking out The Songwriting Genius Within You.